An enforcement action typically means large problems and potentially hefty fines ahead. Yet, there's much you can, and should learn from them to protect your institution. 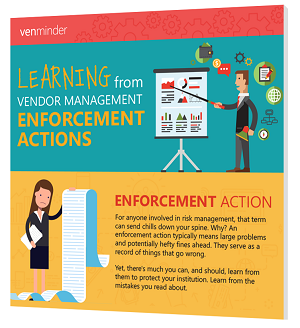 This helpful, print-friendly and free infographic provides some tips and insight for you to follow when looking at industry enforcement actions.